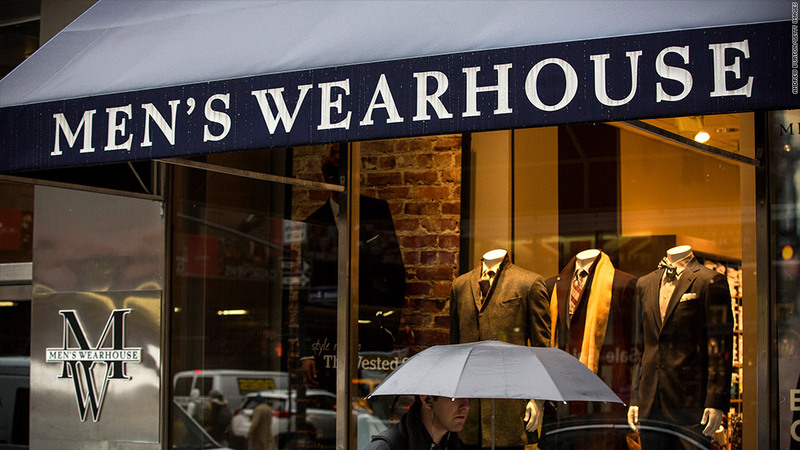 Men's Wearhouse on Monday increased its offer for rival Jos. A. Bank. Men's Wearhouse is hoping Jos. A. Bank will like the way its newest offer looks. Early Monday, Men's Wearhouse (MW)increased its offer to buy rival Jos. A .Bank (JOSB) to $63.50 per share. That represents a 15% premium over Jos. A. Banks' Friday closing price of $55.05. It's also 10% higher than Men's Wearhouse's previous bid of $57.50 per share, which Jos. A. Bank rejected. The new offer is good until 5 p.m. ET March 12, Men's Wearhouse said in a statement. But there's a catch: Jos. A. Bank must throw out its planned $825 million acquisition of Eddie Bauer. To sweeten the pot, Men's Wearhouse said it would consider raising the offer to $65 per share if it is allowed to conduct further due diligence, and have access to the retailer's management team. "We call on the Jos. A. Bank Board to act in the best interests of their shareholders and begin discussions with us immediately," said Men's Wearhouse CEO Doug Ewert in a statement. Jos. A. Bank was unavailable for immediate comment. The two companies have been locked in a takeover battle for months. It all started last year, when Jos. A. Bank made an offer to buy Men's Wearhouse for $2.4 billion. Men's Wearhouse rejected that offer and countered with an unsolicited bid of $55 a share for Jos. A. Bank -- a proposal that was also rejected. Shares of Jos.A. Bank rose more than 8% in premarket trading while Men's Wearhouse jumped 6%.